Motorola is expected to launch a new mid-range smartphone Motorola P40, which will be powered by a Samsung Exynos processor. Motorola is expected to launch a new mid-range smartphone Motorola P40, which will be powered by a Samsung’s Exynos 9610 processor, according to a 91Mobiles report. Motorola P40 will succeed the P30 that was launched in China last year and later released in the US as Motorola One Power. Motorola is likely planning to use a different name for the P40 as well in the United States, naming it as One Vision. According to a recent entry on benchmarking site Geekbench, the smartphone was listed running Samsung’s Exynos 9610 processor, which has also been used in the Samsung Galaxy A50. The phone is also likely to have a 6GB RAM. This is the first time Motorola will go with Samsung’s processor for its smartphones, which typically pack Qualcomm’s processors. Samsung uses Snapdragon processors for its flagship phones sold in the US, while international models come with its own Exynos processors. Motorola P40 is expected to come with a 6.2-inch punch-hole HD+ IPS display. It will be available with 6GB RAM and 64GB/128GB storage options, reports 91Mobiles. The P40 could feature dual rear cameras, a combination of 48MP primary camera and a secondary 5MP camera. The front camera will be 12MP with f/1.8 aperture. Both the front and rear cameras will be backed by Artificial Intelligence. More details include a 3,500mAh battery and support for Near Field Communication (NFC). The phone is expected to run Android 9.0 Pie out of the box. 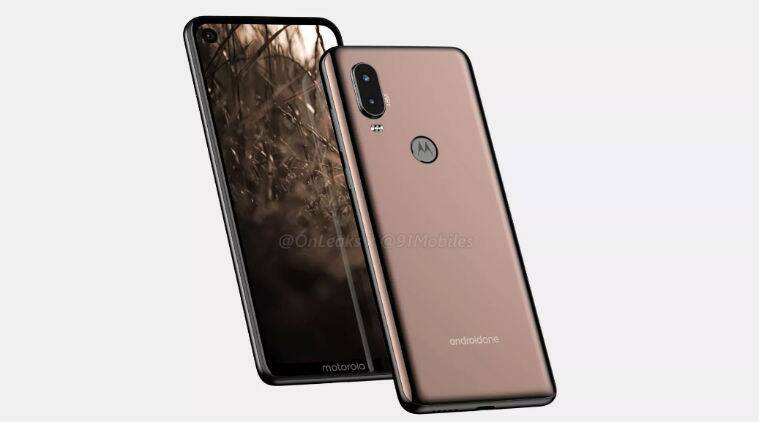 According to an earlier report by 91Mobiles, which published image renders and 360-degree video of Motorola P40 in partnership with @OnLeaks, the P40 will be an Android One device.